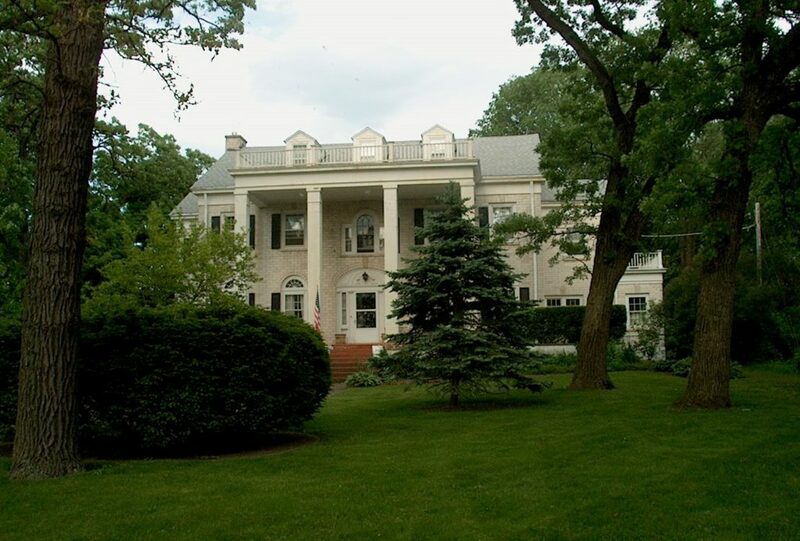 The Lorimer Mansion was built in 1929 by William Lorimer, Jr. and his wife Josephine Healy Lorimer. The house faces the lake near the busy intersection of Lake Avenue, Dole Avenue, and Country Club Road. It is made of white glazed Duntile, a locally produced building material. William Lorimer, Jr. was the son of Senator William J. Lorimer. The senior Lorimer served in the House of Representatives for several terms. He was elected U.S. Senator in 1909, but was rejected by the Senate when the Senate adopted a resolution declaring “that corrupt methods and practices were employed in his election, and that the election, therefore, was invalid”. After leaving the Senate in disgrace, William, Sr. became president of the LaSalle Street Trust & Savings Bank. The bank collapsed a few years later. Lorimer charged the collapse was the result of the machination of his political foes. Thereafter, Lorimer started the William Lorimer Lumber Company. His son, William, Jr. joined his father in this venture. William Lorimer, Jr. and Josephine Healy were married in Chicago in 1910. The couple had six children: William III, Josephine, Daniel, Patricia, Walter and Suzanne. The Lorimer Mansion, often referred to as “The White House,” was the brainchild of Josephine Lorimer. Josephine had accompanied her husband on a business trip to Natchez, Mississippi and fell in love with the antebellum homes. Josephine worked with a local builder, W. Frank Robbin, who built several buildings in Crystal Lake with Duntile. Together, Josephine and Mr. Robbin created this breathtaking 5,000+ square foot home. The fireplace was imported Italian marble and the doorknobs were made of silver. Beautiful chandeliers graced the ceilings. Unfortunately, the Depression took its toll on William, Jr. and Josephine. 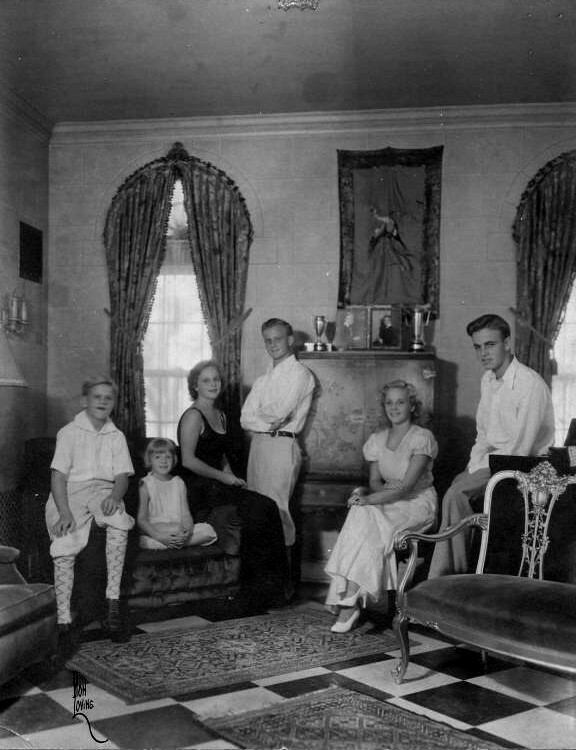 Business was bad in the 1930’s, and the bank foreclosed on “The White House.” The family was forced to move to a rental property on Woodstock Street. Gone were the days of servants and grand parties; but the family stayed strong, and they stayed together.